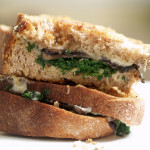 Normally, a vegetarian sandwich is boring and lacking. 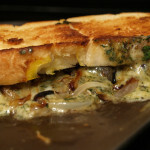 I consider this particular sandwich to be unique in a world of bland and repetitive vegetarian sandwiches. The avocado spread, in my opinion, is fantastic. Plus, the alfalfa sprouts are a nice touch. I had this sandwich recently, leading me to think of ways to turn this cold sandwich into a hot grilled cheese sandwich. As the menu states, Jimmy John’s uses provolone cheese on their vegetarian sandwich. 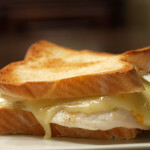 I wanted to put my own spin on the sandwich, so although I stuck with a white cheese, I went with creamy havarti, a mild, buttery cheese. While creating this particular grilled cheese, I wanted to pay homage to Jimmy John’s sandwich. However, at the same time, I wanted to add my own touch. 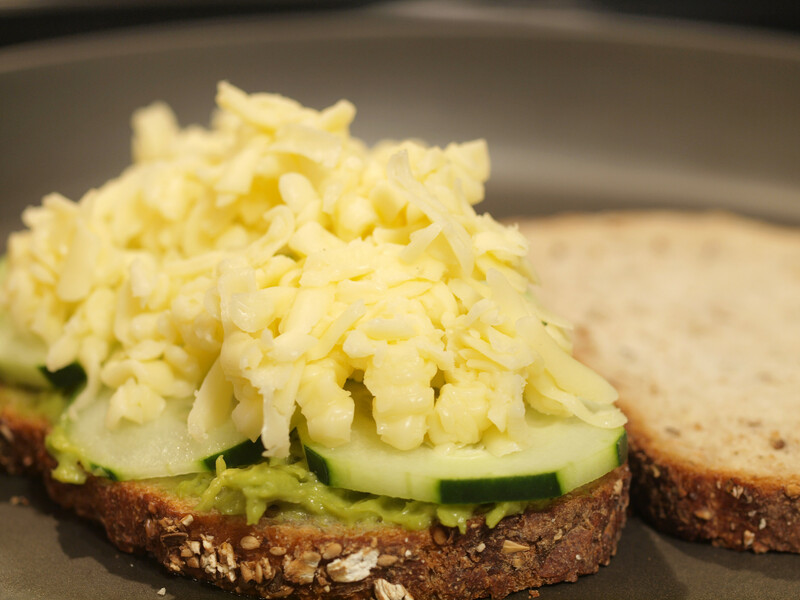 The most evident place to do so was with the avocado spread. One day I found a cippolini onion in the grocery store, bought it and used it in my cooking. I never really knew much about it, but I knew that I seemed to enjoy it. Therefore, when I was trying to think of ingredients to add to my avocado spread, I once again stumbled on the cippolini onion. The cippolini onions, however, are specific to Italian cooking and cuisine and they are represented by smaller onions, which are relished for roasting and Kabobs. The onion can vary in colors, but the most common one is the yellow cippolini in a flatter shape. Other cippolini onions are golden or bronzed and they have a very intense flavor, but less hotness. The cippolini cepa is highly appreciated for its therapeutic qualities, too, as it a great toner, as it includes the vitamins A, B, C, various mineral salts, like sodium and phosphates. Cippolini onion has various uses in many recipes and it is eaten fresh, fried, steamed, baked or boiled, for numerous salads, toppings, sauces and dips. Due to its Italian origin, the cippolini onion is used for the Italian specialties, such as pizzas, spaghettis and various pastas with meat and greens. 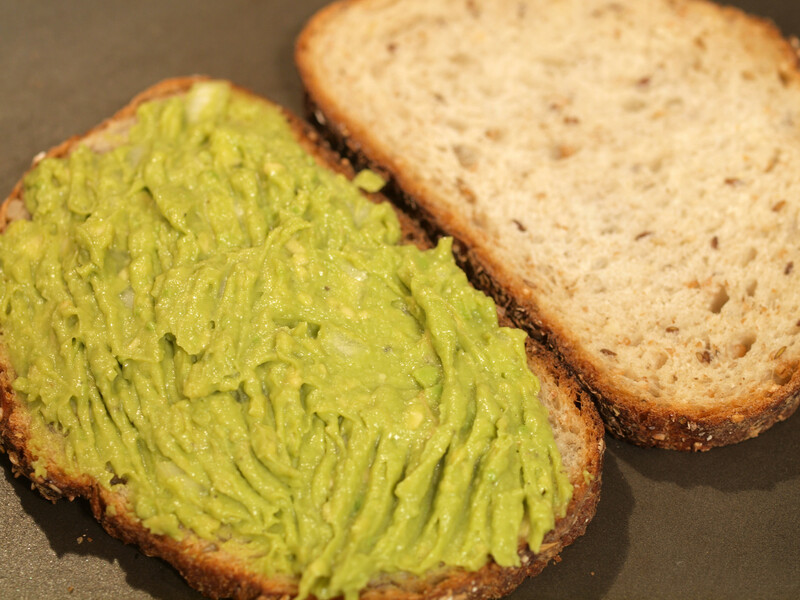 Other ingredients included in the avocado spread are: garlic, lime juice, salt and pepper. I (and the sous chef) simply smashed up the avocado and mixed in the chopped up ingredients. We did not use a blender or any such contraption. That is it. I have no idea what Jimmy John’s puts in their avocado spread. That is irrelevant. The ingredients I included made one awesome spread. I made this right before cooking the grilled cheese, only refrigerating for a few minutes. Jimmy John’s includes mayonnaise in their sandwich, but I decided to leave the mayonnaise out of the grilled cheese entirely. 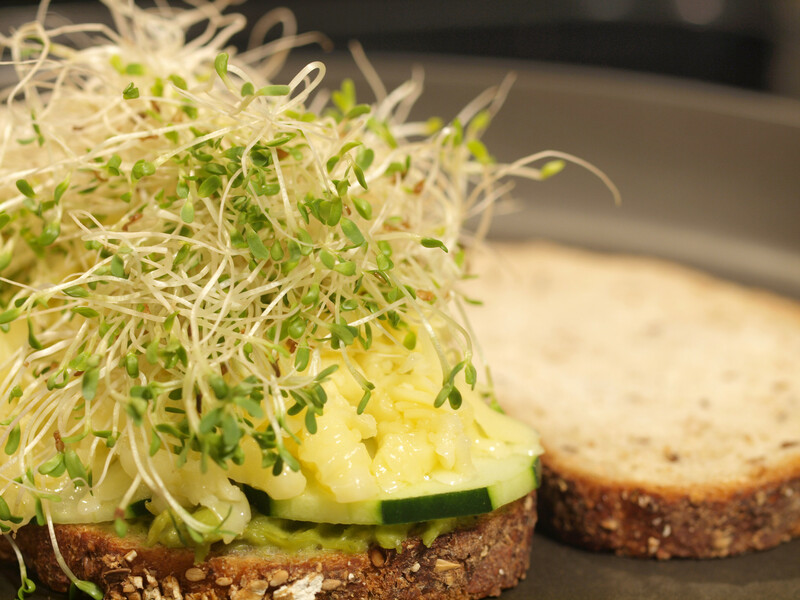 Some love alfalfa sprouts, other hate them. I for one am intrigued by them. Their hairy, weird texture can be a bit off-putting but I think it adds a unique texture to a sandwich. This is one ingredient I knew had to be in my version. Lettuce and tomato are included in Jimmy John’s version but I honestly don’t ever remember them being included. I thought my interpretation had enough components with the avocado spread, alfalfa sprouts and sliced cucumbers, that I left the lettuce and tomato off. I did not miss them. Jimmy John’s sandwich normally comes on white but I prefer it on multigrain. It makes the sandwich a thousand times better (and a lot more edible). The choices at my local grocery store were nine-grain and multigrain. 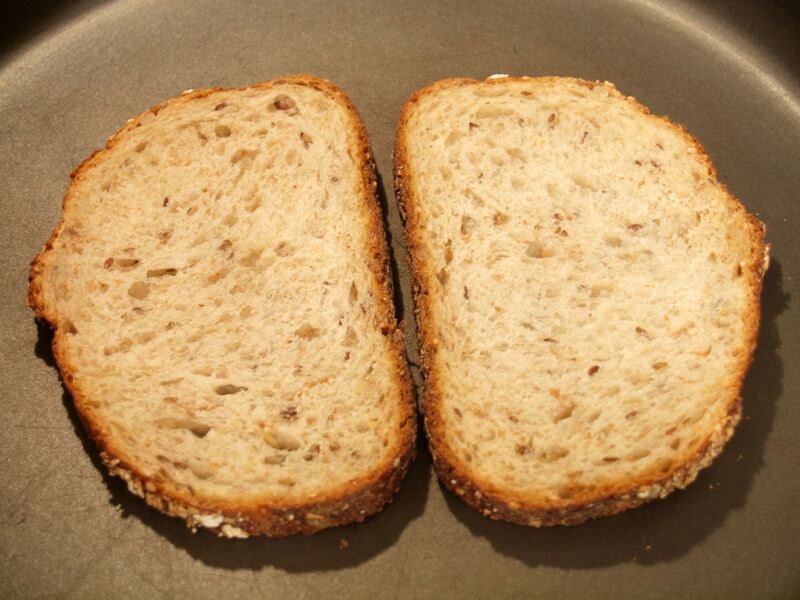 The nine-grain has larger grains and is sweeter. I chose the multigrain because I believed a less sweet bread would not overpower the grilled cheese. I never used to like wheat/multigrain bread, but that was because I never tasted a fresh baked loaf of homemade multigrain. Now, I love wheat, almost more than any type of sourdough/italian/white. The Jimmy John’s vegetarian sandwich is itself a great, cold sandwich. When ordered on multigrain, it is, in my opinion, delicious. It is not, however, a grilled cheese sandwich. 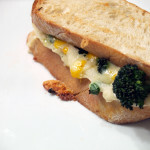 With a few tweaks and subtractions, I have turned this great cold sandwich into a true grilled cheese. The avocado spread itself had the perfect bite. 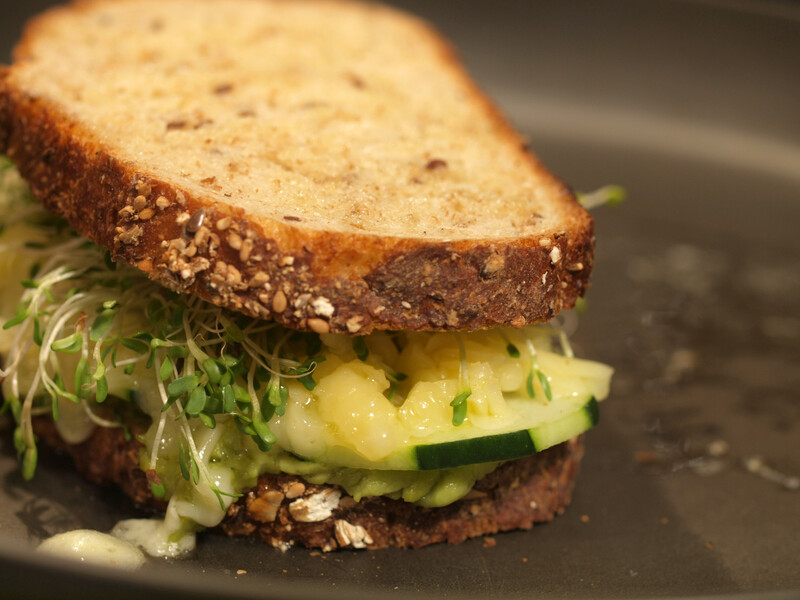 With the addition of the cucumbers and alfalfa sprouts, the varied ingredients created a fantastic texture. 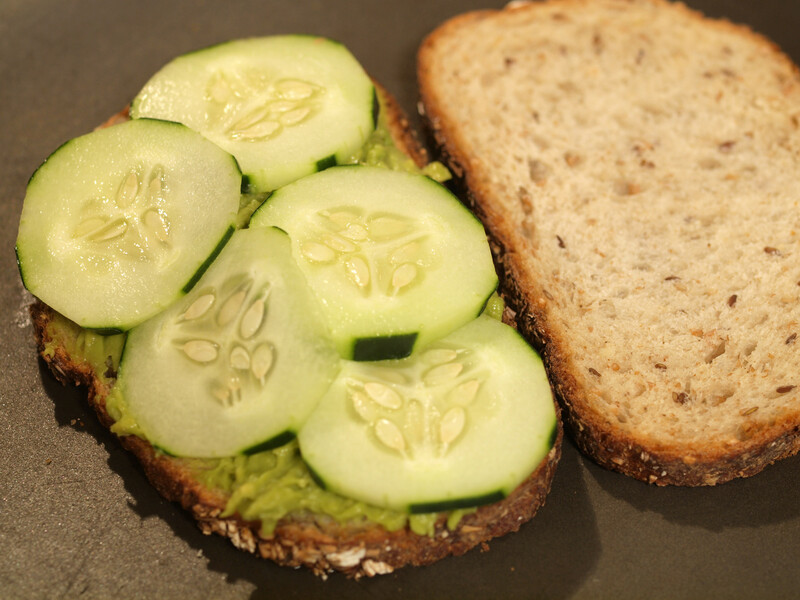 Include the multigrain bread and you have yourself a very yummy treat. 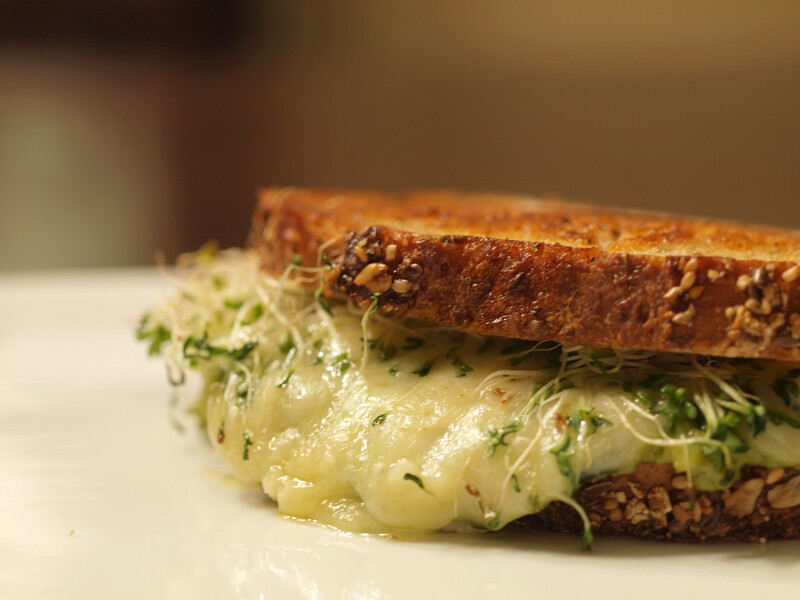 If you are someone who happens to enjoy both avocados and alfalfa sprouts, this sandwich / grilled cheese is right up your alley. I would highly recommend both the Jimmy John’s cold sandwich as well as my Jimmy John’s inspired Avocado Spread & Alfalfa Sprouts Grilled Cheese. 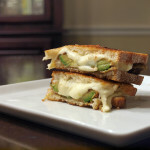 Posted in Grilled Cheese and tagged A, alfalfa sprouts, avocado, cippolini, cucumber, garlic, grilled, havarti, multigrain. Just found this on Knapkin and came to your sight. 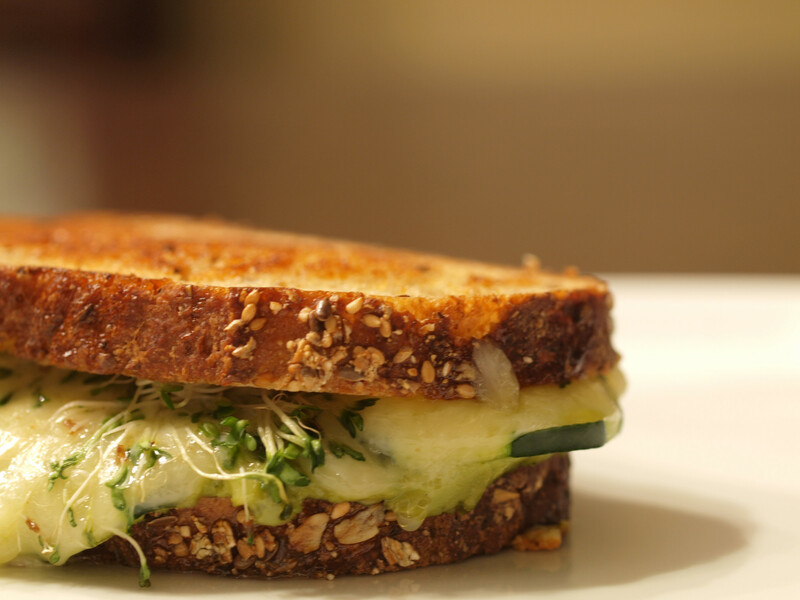 I love this sandwich and sprouts are a must with avocado. All thisgs grilled cheese, this is great. I love the #6 at J.J.s as well. I don’t know if you are a vegetarian, but my non-veg husband bought that Denmark’s finest Havarti, & it contained rennet, which is ordinarily derived from cows’ stomachs -I kid you not. Thought you’d want to know if you’re a vegetarian.